A lot of kids are latchkey kids, meaning they come home from school to an empty house due to both parents working. This time of year, we all have to watch out for our kids. 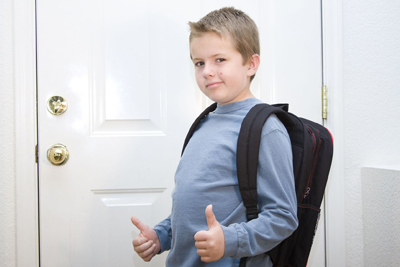 Here are a few safety tips for latchkey kids in Phoenix. There is always a way to make the situation safer and more comfortable for kids and parents. 1. Safety Planning for Latchkey Children. Make sure there is a backup plan for the kids to go somewhere if they get home and don’t feel safe going inside. A trusted neighbor or a close friend is a good plan B. There should also be a plan in place if they can’t get inside. I know of plenty of instances where kids aren’t able to reach their parents or get inside altogether. Be sure to talk to your kids about what their other options are and make sure they understand what to do in every scenario. Believe it or not, this is one of the most important safety tips for latchkey kids in Phoenix, Arizona. Include the neighbors in your discussions if you have to in order to ensure everyone is comfortable and on the same page. 2. Create a Process That Confirms Your Kids Are Safe. Give the kids a way to contact you and let you know they are safe when they get home. Whether it is a neighbor, friend or technology. It is also a wise choice to have an alarm installed in your home. These can be equipped with cameras these days so you can actually see your children arriving home via the Internet. In most cases, it’ll also notify you on an app when your kids enter the home. Being able to check technology like this periodically throughout the day creates a peace of mind like no other. I agree that keeping your kids safe while you are at work is kinda difficult job. The technology this days really do help a lot especially the real time monitoring of the house. Thank you for sharing this safety tips.